The following is an example of implementing the kalmanFilter GAUSS procedure. This follows the example in section 2.2.5 from Durbin, James, and Siem Jan Koopman. 2012. Time Series Analysis by State Space Methods: Second Edition. Oxford University Press. 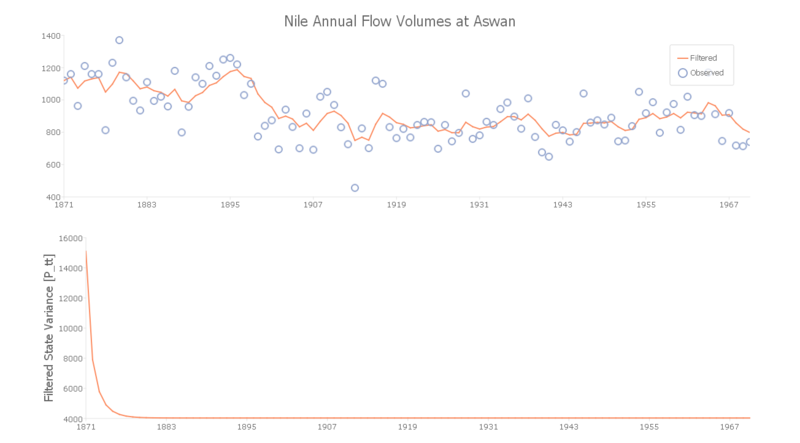 The data contains readings of the river Nile annual flow volume at Aswan from 1871 to 1970 and is stored in the GAUSS dataset file "nile.dat". 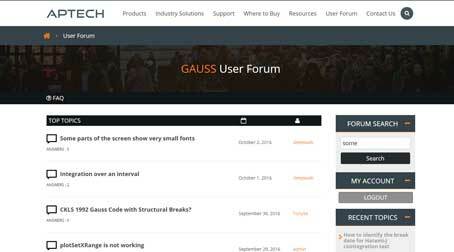 The GAUSS function kalmanFilter implements the GAUSS Kalman filter. Code for generating the plots below of the filtered data and state variance can be found here.